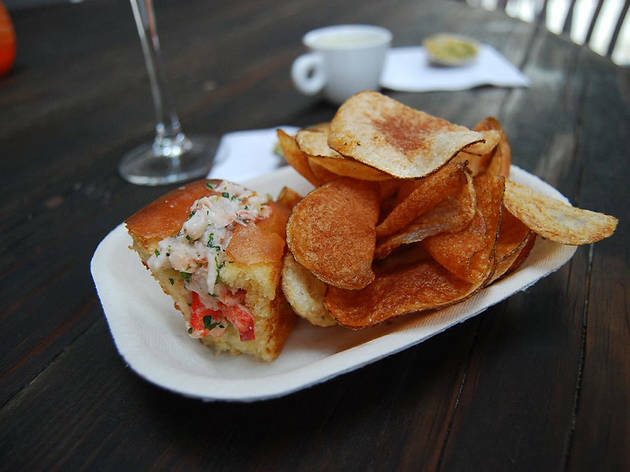 The Bay Area may be best known for another crustacean, Dungeness crab, but summertime calls for a classic New England-style lobster roll. 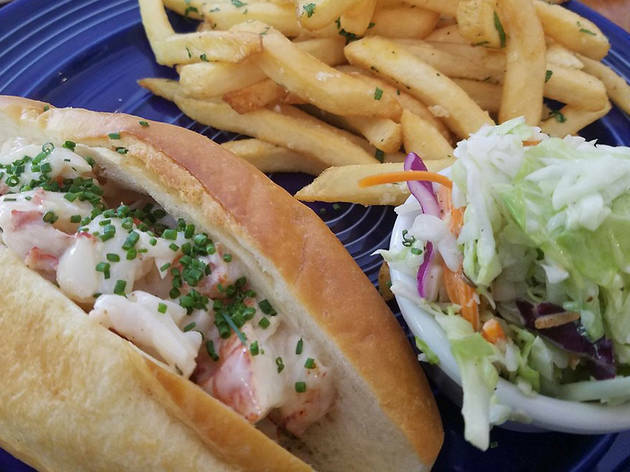 Whether you're headed to one of San Francisco's top seafood restaurants or jut strolling through Fisherman's Wharf, there's a bounty of tasty options when it comes to this stuffed sandwich. Enjoy it slathered in mayo, or “naked” with a side of butter, while you bask in the Indian summer sunshine. 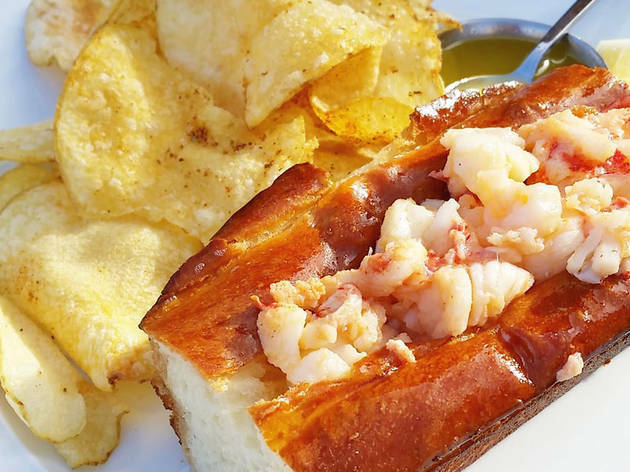 RECOMMENDED: Check out the best seafood restaurants in San Francisco. 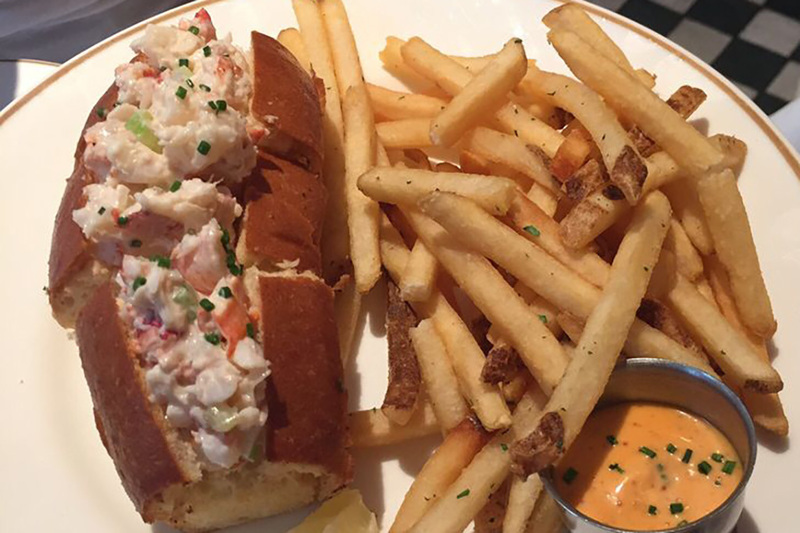 The decadent lobster roll at Leo’s is as Instagram-worthy as the wallpaper. The hunks of meat are doused in cultured uni butter and served on a buttery, flaky brioche bun. Even the fries—typically an afterthought—are a revelation, thrice-fried in rice bran oil to a golden-brown crisp. 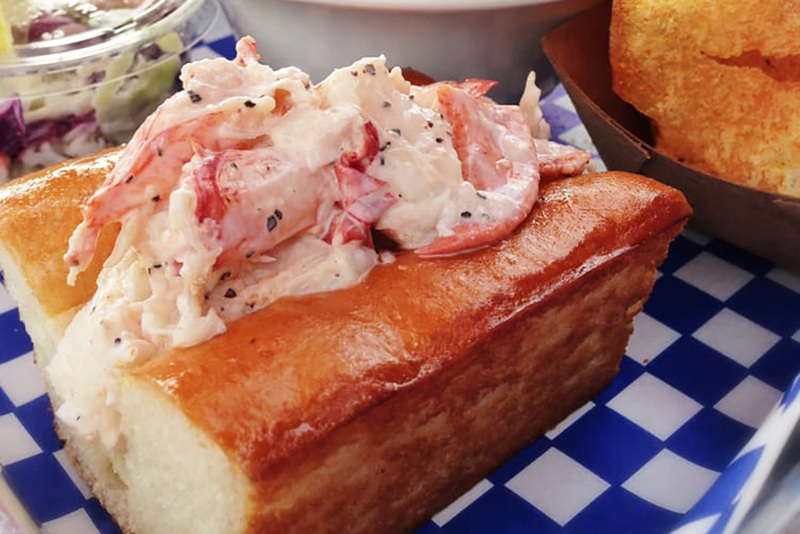 The roll here is deftly spiced to bring out the flavor of the lobster. The meat is subtly seasoned with celery salt, Old Bay seasoning, and ground black pepper, then mixed with a lemony, garlicky house-made mayo. It’s garnished with celery, parsley, and a hint of tarragon and heaped into a pain de mie bun—no lowbrow hot dog buns. The roll is served alongside coleslaw and hot-from-the-fryer tater tots. Ellen McCarty and Kevin Weinberg have helmed this nautical-inspired restaurant and oyster bar since 1997. 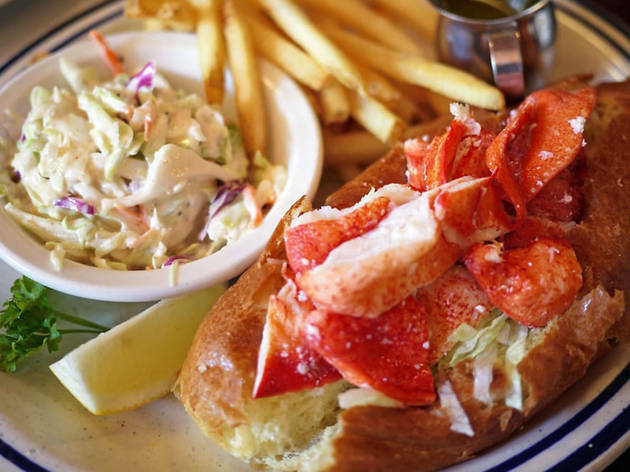 The Maine lobster roll is legendary. 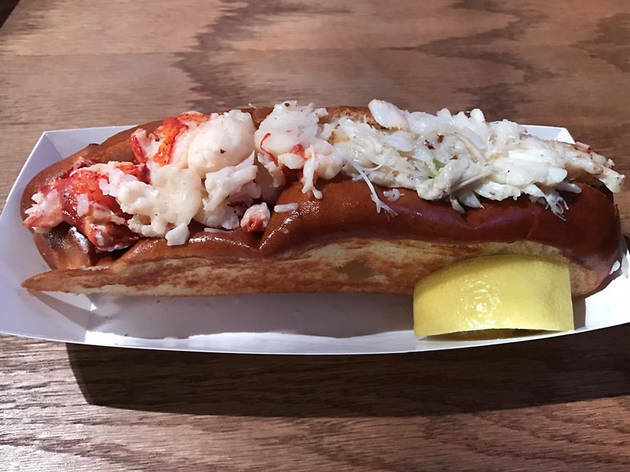 The meat, supplied by Osprey Seafood Company, is mixed with spices, lemon, and mayonnaise, then piled onto a toasted Acme roll. It’s served alongside coleslaw and your choice of regatta fries, spiced waffle chips, or red potato salad. The restaurant’s chef and namesake, Billy Reynolds, is Boston raised and trained. He opened this chowder house in 2010, along with friend Lance Wagner of Little Lou's’ BBQ. “3,283 miles from Boston,” the menu reads. Still, the east coast authenticity shines through. 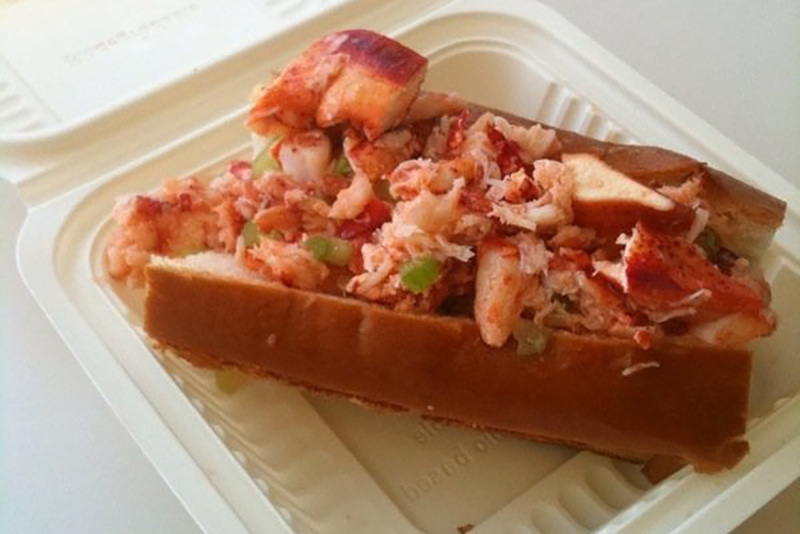 The hot buttered “lobsta” rolls are available three ways: warm buttered, dressed in mayo, or naked. 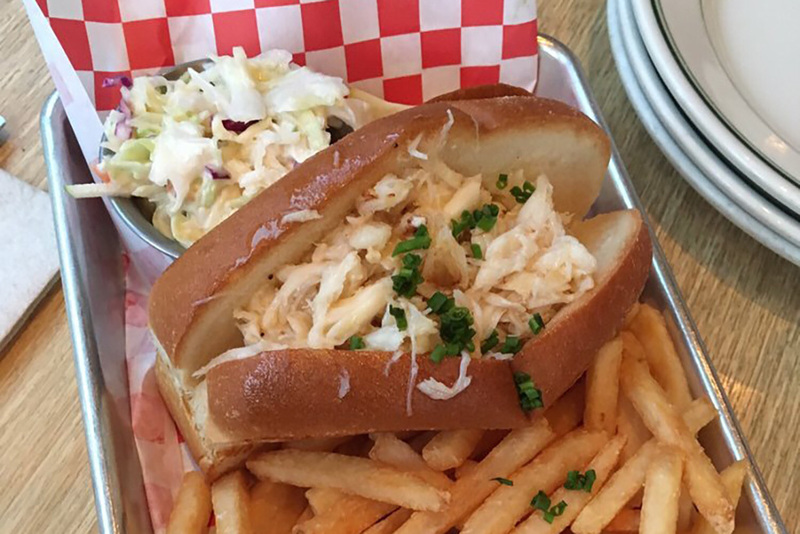 It’s served on a puffy, grilled split-top roll with French fries and coleslaw. 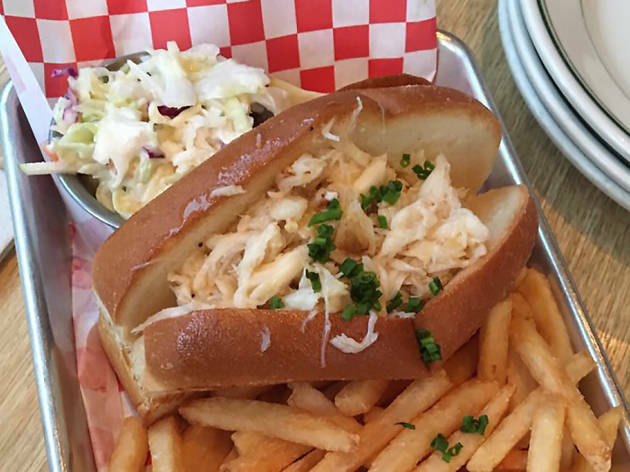 This nautical-themed, 30-year-old eatery is worth the drive. 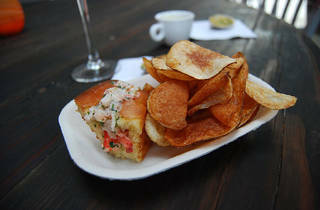 Lobster rolls are served three ways: dressed with mayonnaise, salt, and pepper; “naked,” with a cup of melted butter and lemon wedges; and a rotating seasonal style, which might include avocado, inventive seasoning, even bacon. The meat is a mixture of claw and tail, stuffed into a griddled buttered (or mayo-slathered) bun, and served with house-made potato chips. Wash it all down with a glass of blueberry lemonade. There are not many things worth braving the Fisherman’s Wharf tourist hordes for. This is one of them. Though crab is the café’s namesake, lobster gets equal billing. 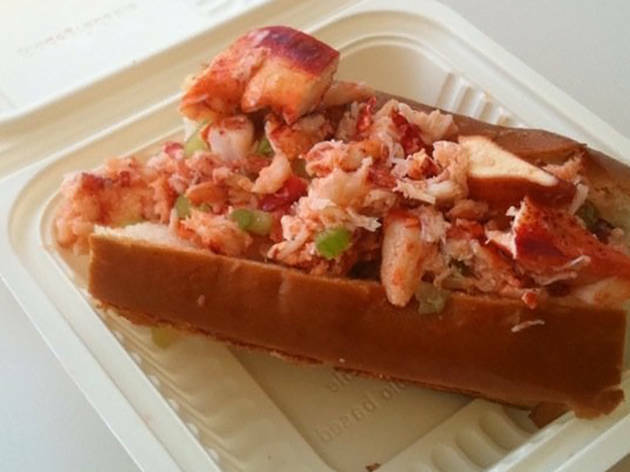 (You can even mix the two into a half-Dungeness crab/half lobster roll.) 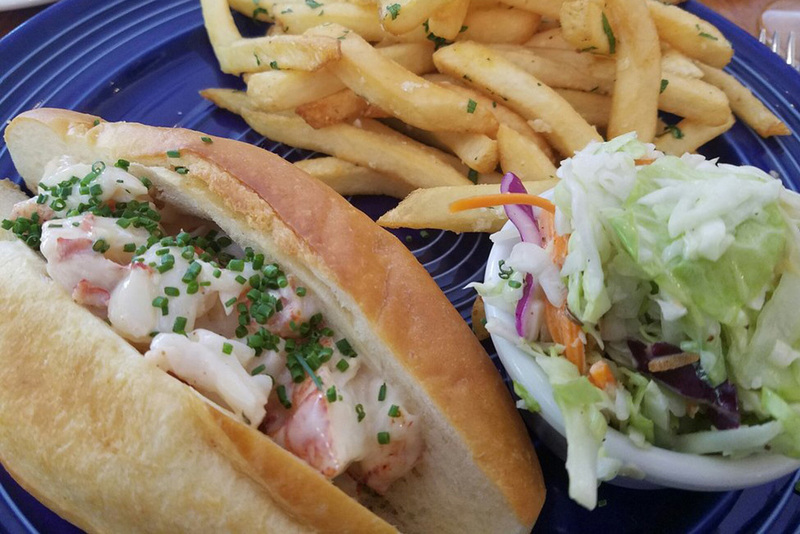 The Maine lobster roll is served on a buttered and grilled split-top roll with your choice of drawn butter, house-made mayo, or plain with lemon. 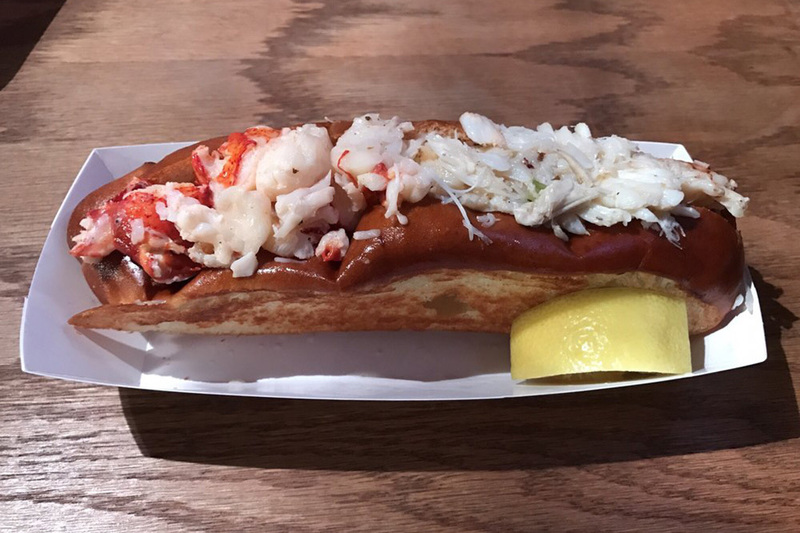 Complement your sandwich with a side of lobster salad, lobster eggs benedict, even a “surf and turf” lobster-topped hot dog. Come for the views, stay for the lobster. This Embarcadero mainstay is perched on the edge of the bay with a spacious, sunny patio. 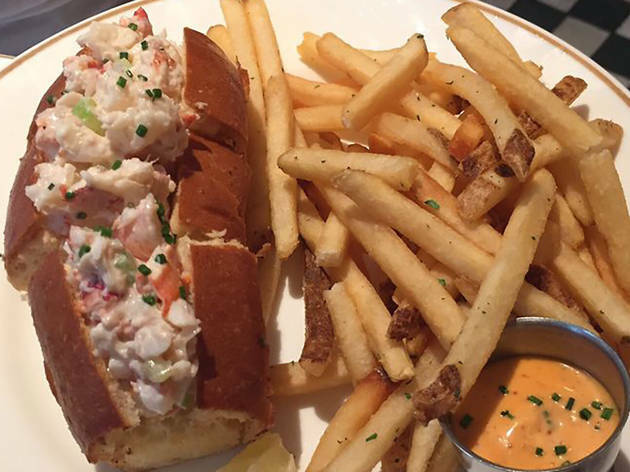 Get there early: The four-ounce lobster roll is available on Fridays only and often sells out. 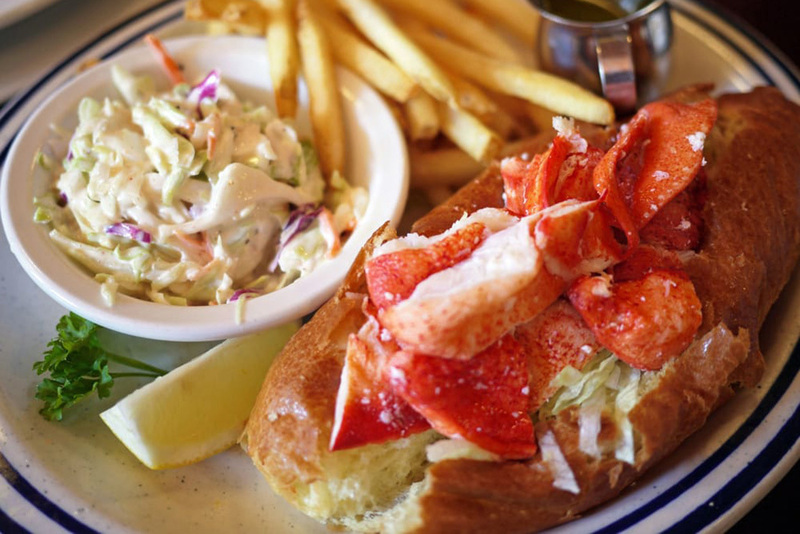 The meat is sourced from Casco Bay off the coast of Maine. 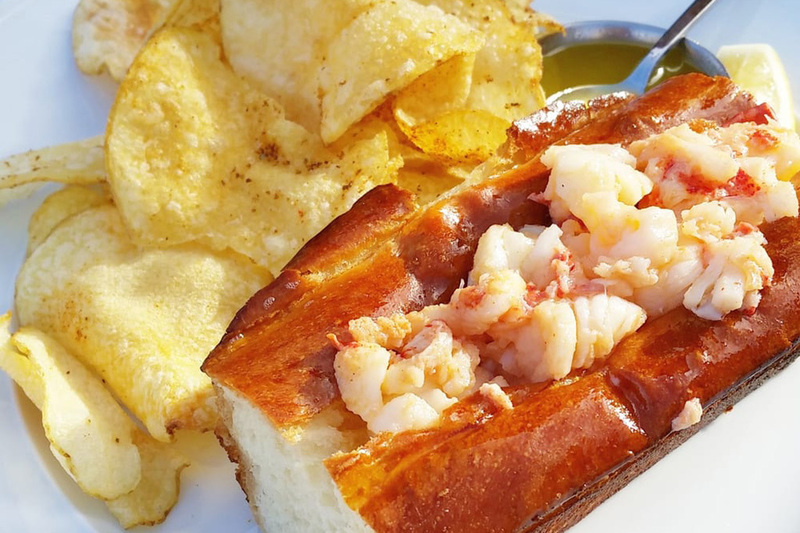 It’s simply dressed in butter and salt, then ladled into a homemade split-top brioche roll. The sandwich comes with a heaping pile of homemade potato chips spiced with Old Bay seasoning. Woodhouse goes easy on the dressing, preferring to let the natural lobster meat shine. 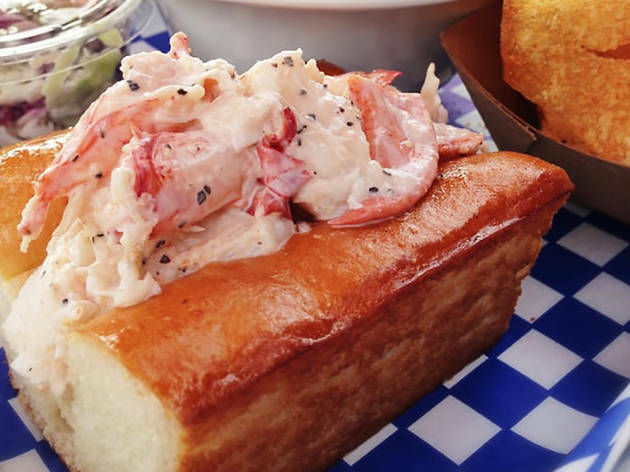 Maine lobster is folded with celery and a dollop of mayonnaise, stuffed into a buttered bun, and topped with a sprinkling of fresh chives. (Go for the regular roll—which is generously portioned—or upgrade to the seriously stuffed “mega” size.) It’s served warm alongside a pile of thin-cut fries and a serving of coleslaw, which balances out the buttery richness of the sandwich.